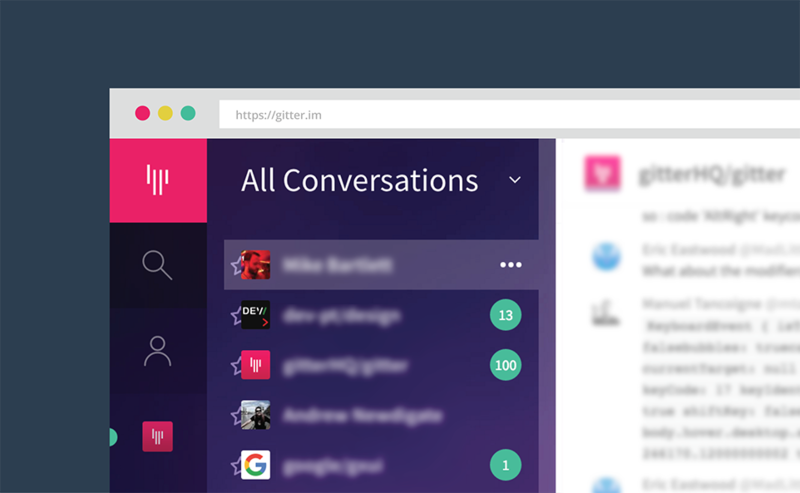 We just wanted to let you know about Gitter’s new look that we’re rolling out to all of you over the next few days. The main goals of this change are to improve the display of communities with multiple rooms, facilitate the discovery of new communities, as well as to ensure that search is available at all times. Here’s what we did to improve the app interface usability for you and your community. First of all, we have introduced a new menu bar to the contact list that will filter your rooms by Community and People. You can still view rooms across the whole network from the All Conversations view. 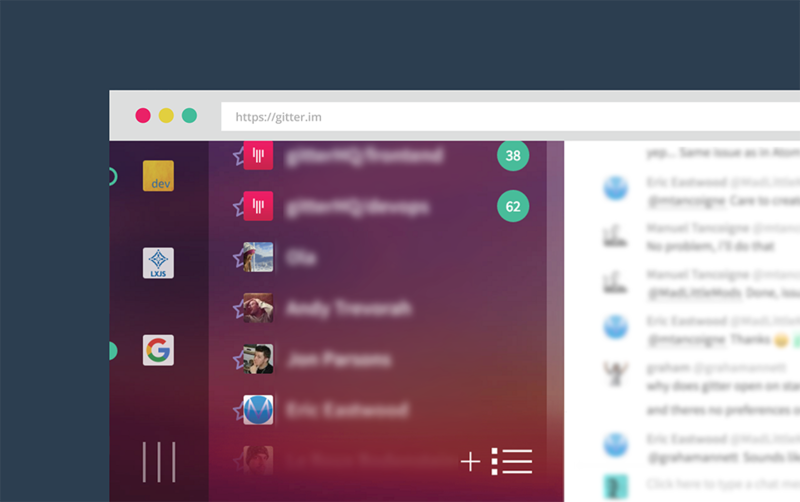 You can now search for all the things - chat messages, people and rooms - directly in one place. In addition, we wanted to make sure that you have enough space for chatting - that’s why we introduced the ability to collapse and expand the list by using the little toggle button on the bottom left of the screen. Clicking on the plus sign icon on the right will create a brand new room. 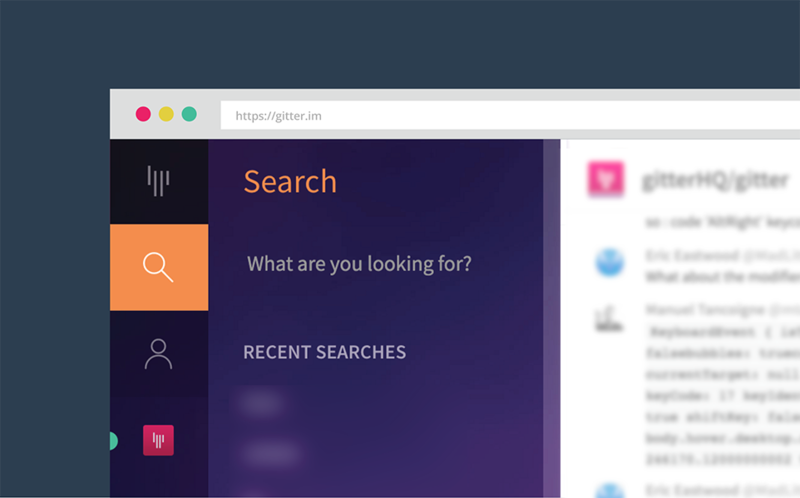 Over the last year, Gitter has grown and evolved. When we first launched, we made it incredibly simple for people to create chat rooms for repositories on GitHub. Today we have over 400 000 people across nearly 40 000 public communities, which are growing beyond single rooms, and our former user interface paradigm did not facilitate that well. For example, many people didn’t know about the possibility of having more than one room in a community, which should be clear now with the new interface. We’d like to say big thank you to everyone who has helped to test and improve the new UI so far. We'd love to get some more feedback from all of you - please join us in gitterHQ/change and let us know what you think. In case you missed it, we have recently enabled Twitter authentication - making it possible for Twitter users to join the community conversations too. Spread the word in your community!